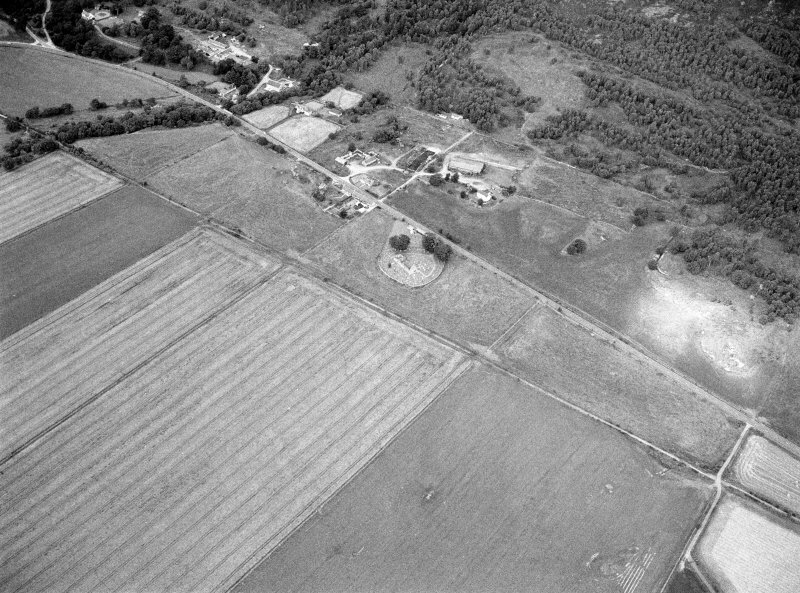 Oblique aerial view centred on the St Nathalan's Kirk and churchyard at Tullich with the souterrain at Braehead Farm adjacent, looking to the NW. 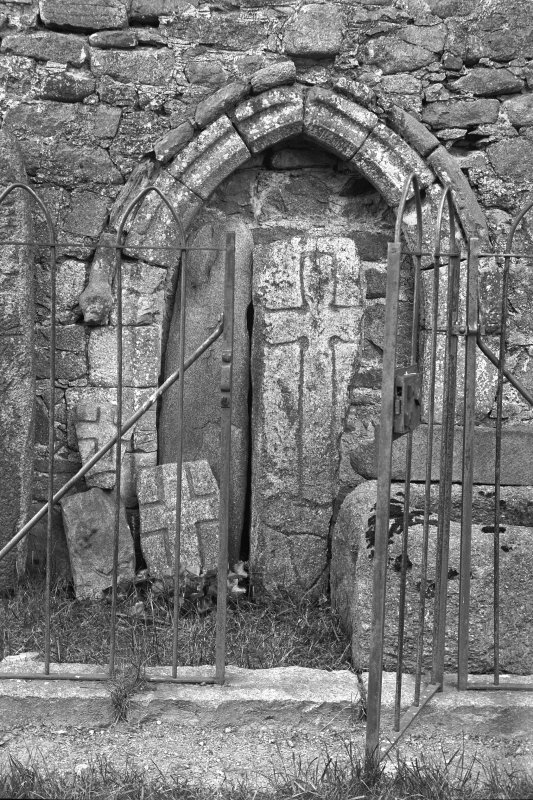 View of sculptured stones and arched doorway in railed enclosure. Original negative captioned: 'Sculptured Cross Stones, Old Church of Tullich near Ballater July 1902'. 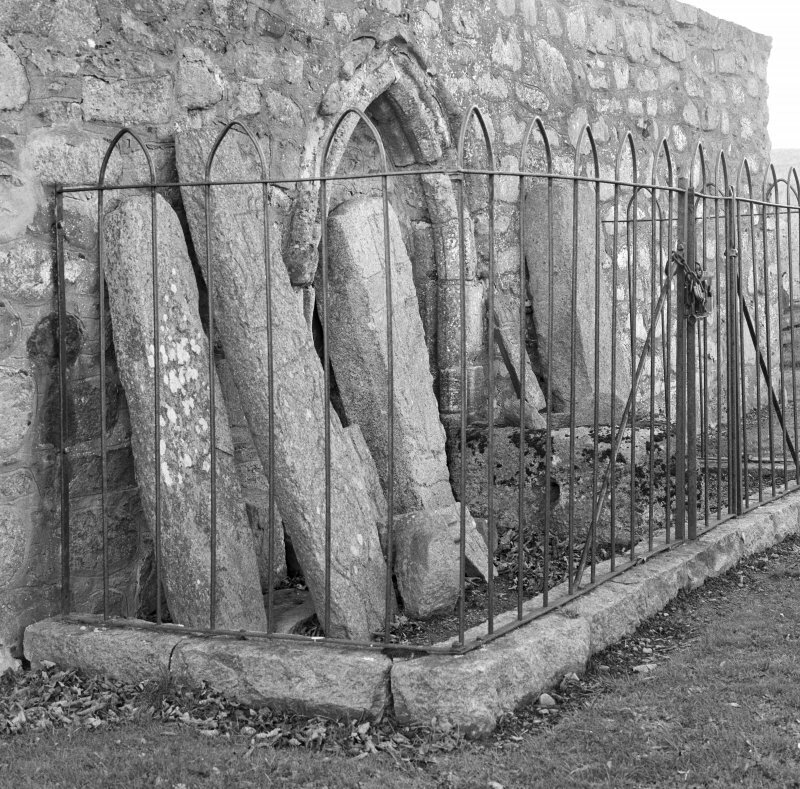 View of sculptured stones in railed enclosure, St Nathalan's Kirk, Tullich. 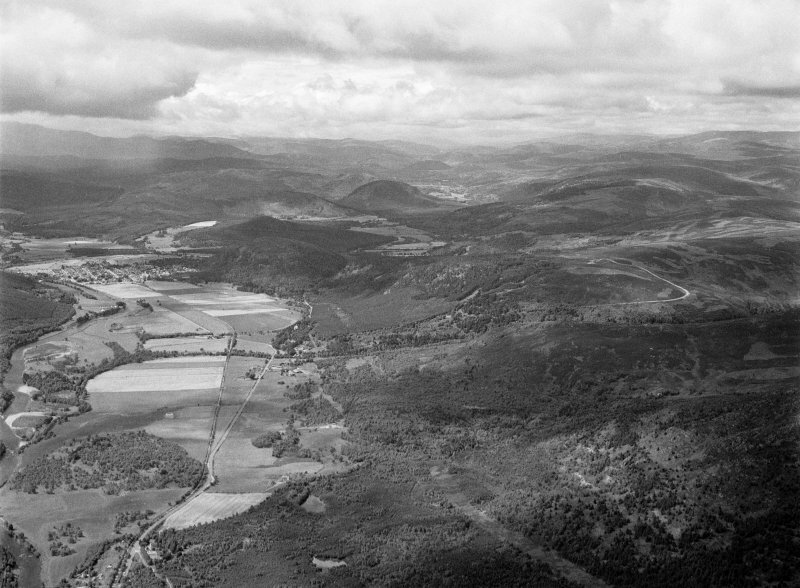 General oblique aerial view centred on Tullich, the Pass of Ballater and the River Dee, looking to the WSW. 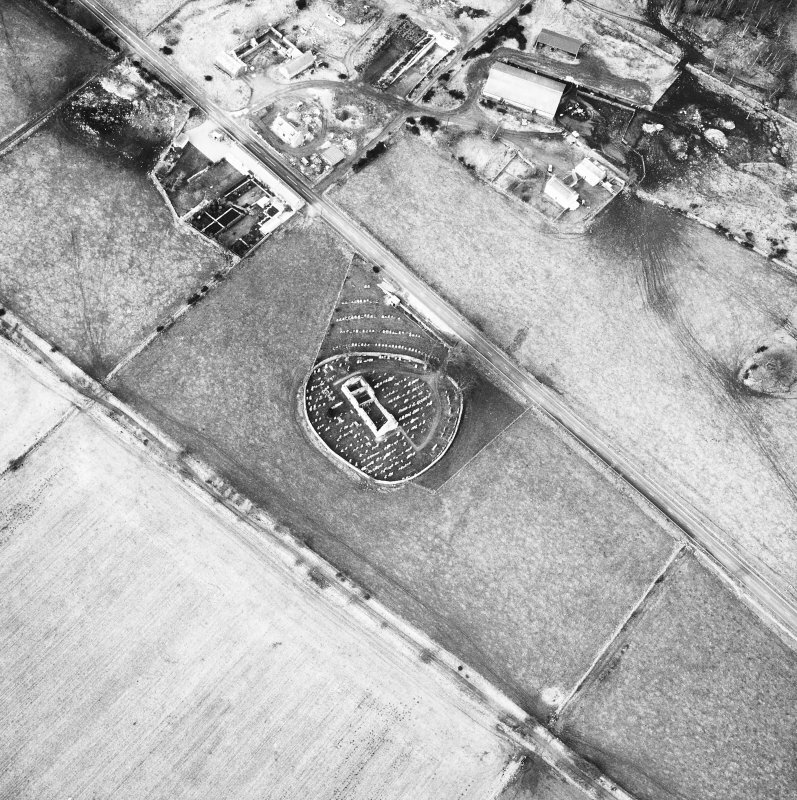 Oblique aerial view centred on the St Nathalan's Kirk and churchyard at Tullich with the souterrain at Braehead Farm adjacent, looking to the WNW. 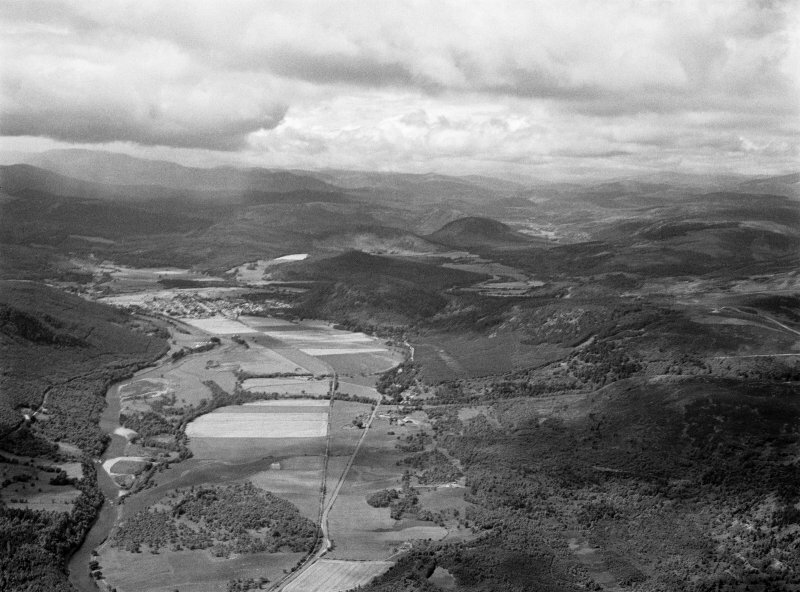 A Celtic chapel was established here by Nathalan (W D Simpson 1922), Nachalan (J G Michie 1910), or Neachtan (H Scott 1915-61) who died in AD 678. 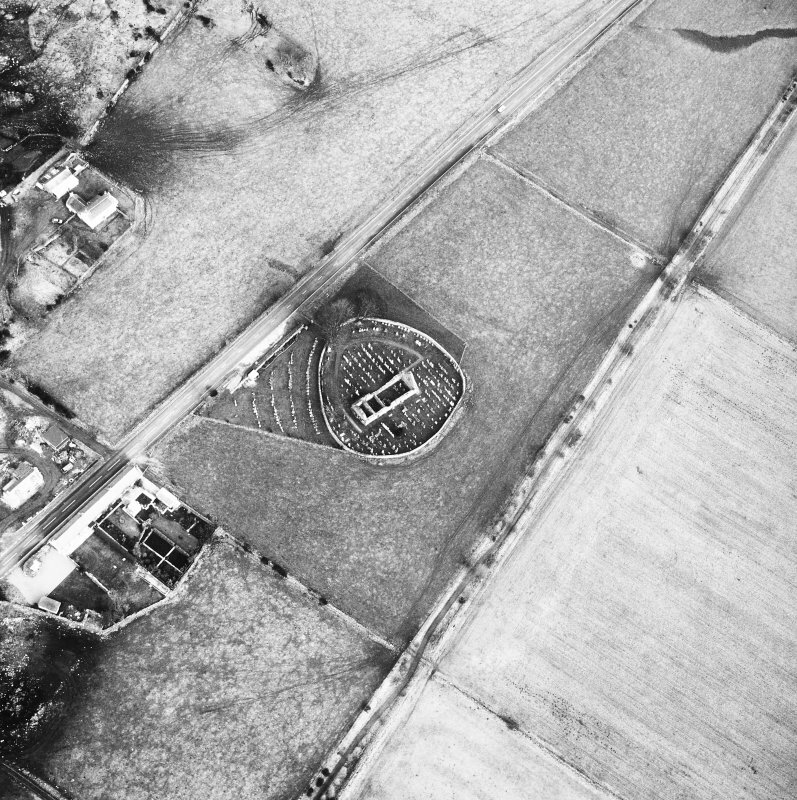 The church was held by the Knights Templars and latterly by the Hospitallers, (D E Easson 1957) who built a fort around the church in the 13th century, traces of which still remain (A I McConnachie 1898). The present building is a good example of a Medieval parish church, which has been very largely reconstructed in post- Reformation times. A late 14th century doorway remains in the N wall, but the precise date of construction is not known (W D Simpson 1922). At the door of the church, surrounded by a railing, there is a Pictish symbol stone, found by Michie in 1866, built into the fabric of the church, five grave-slabs each inscribed with a Celtic cross, and an old font (J R Allen and J Anderson 1903). According to Michie, St. Nachalan's cross, a cross-inscribed stone, stood some distance to the E of the churchyard, but it was destroyed in 1857 for road metalling. 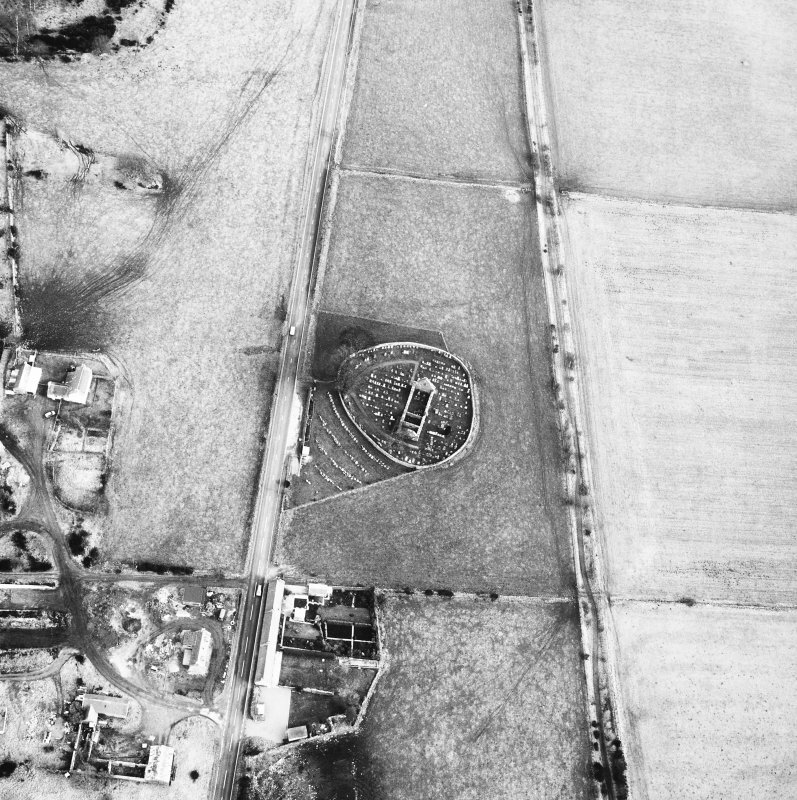 However, Jervise states that St. Nach'lan's cross, which was 12' high and adorned with steps, was a square unadorned shaft of granite on the site of Nach'lans Fair and which was removed in 1817. (Probably a mis-print). A Jervise 1875-9; A I McConnachie 1989; J R Allen and J Anderson 1903; J G Michie 1910; H Scott 1915-61; W D Simpson 1922; D Easson 1957. A church, ruined but preserved, situated within a graveyard which is still used. As well as the Pictish symbol stone as described and illustrated by Allen (1903), and the font, there are now 16 Celtic-type cross-slabs within the railed enclosure on the N side of the church. They vary from 0.2m square to 1.5m in height. Visited by OS (N K B) 13 November 1968. The W and S arcs of the modern circular graveyard wall are built upon a substantial stony bank, maximum height c. 1.0m. Outside this are traces of a slight ditch which can be traced around the periphery of the wall except in the N where there is an extension to the graveyard. From the crest of the bank to the top of the outer scarp of the ditch measures c. 4.5m. 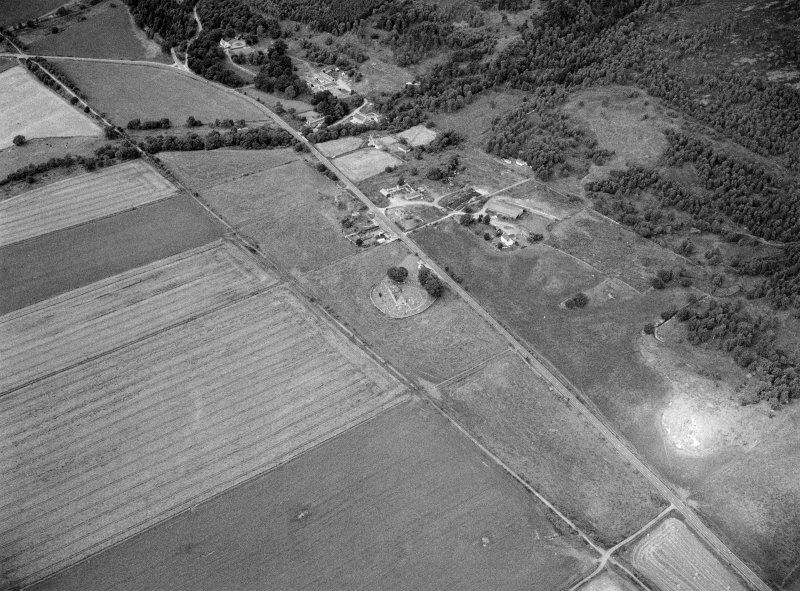 Apparently the alleged fortification, but probably only a minor protective dyke and drainage ditch. 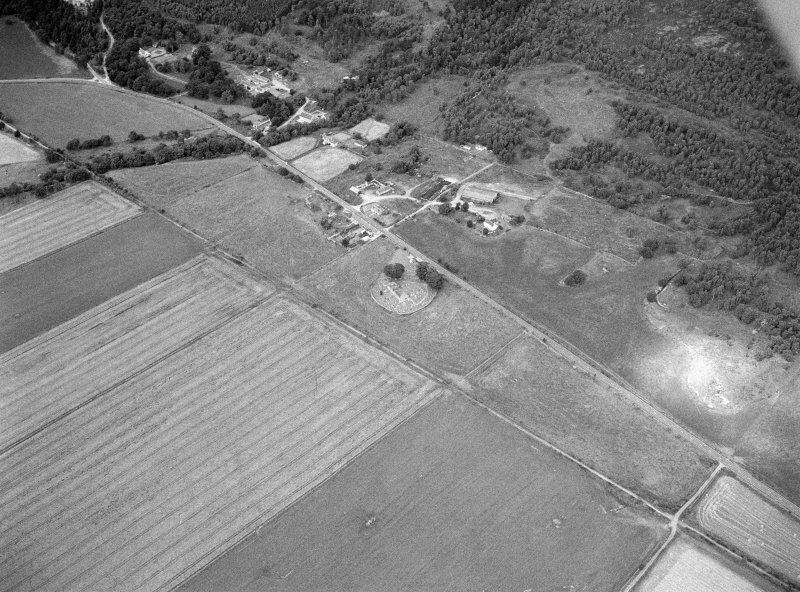 Visited by OS (A A) 22 November 1968. 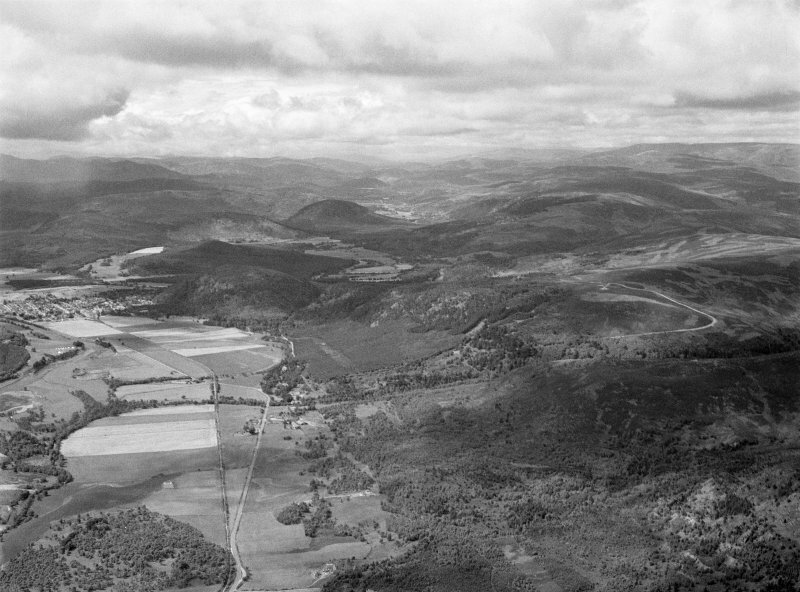 Visible on air photographs AAS/93/02/G2/5-9; Copies held by Grampian Regional Council. Information from Mrs M Greig, Dept. 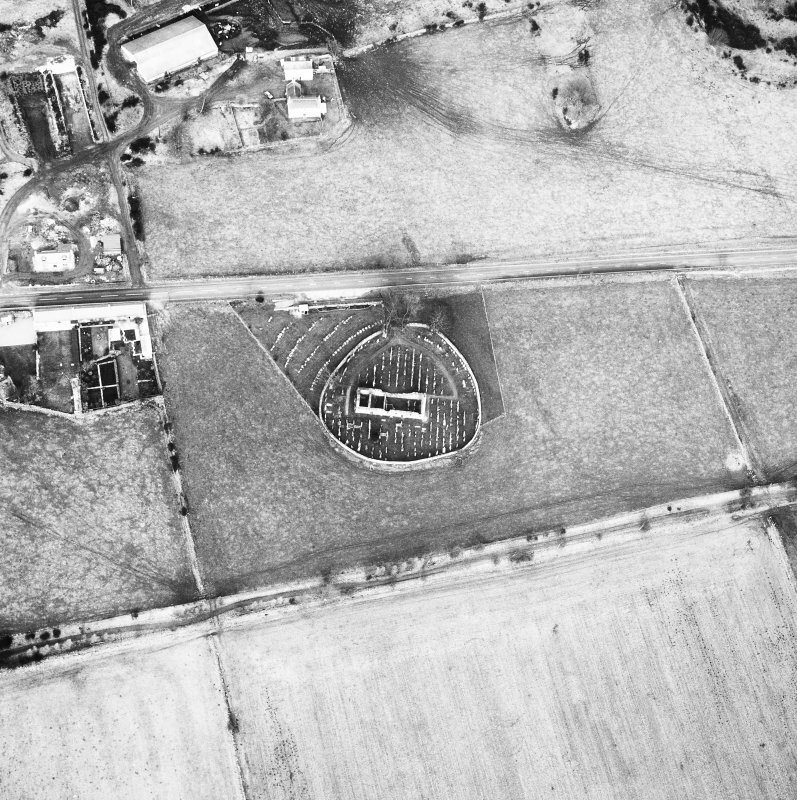 of Physical Planning, Grampian Regional Council, (March 1994). Air and ground photographic imagery listed. NMRS, MS/712/36, visited 12 July 1978, 24 July 1990 and 3 July 1992. NO 39050 97540 Four small test pits were excavated, 27 June 2016, to examine the foundations of the wall of the ruins of Tullich Kirk prior to stabilisation work.